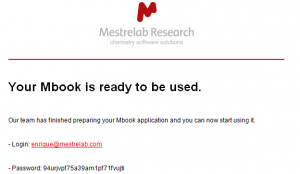 Mbook is an Electronic Notebook (ELN) that will help you to enter, archive, search and report your chemical experiments and reactions, including analytical, spectroscopic and other types of data. Forget about installations, server set-ups, or anything that sounds complicated. Mbook is a cloud solution, based on a subscription model that will keep your data safe. Once subscribed you will just need to visit this page and log in from a computer, tablet or phone. 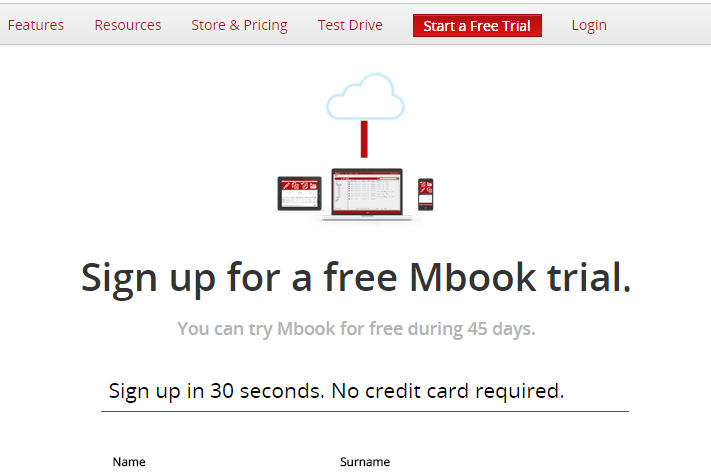 First of all, we would like to encourage you subscribe to Mbook´s free trial version. 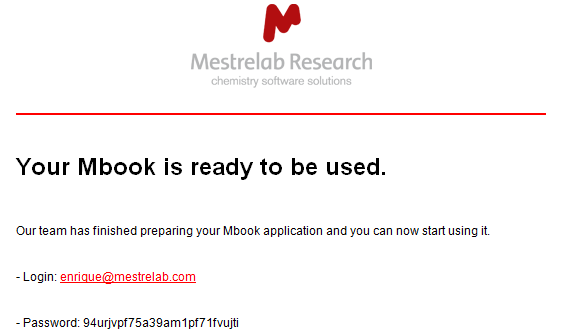 Important: Please note that Mbook has been designed as a collaborative tool (one tenant with one or more users). Individuals should not subscribe but been added to an existing group created by a group manager. This does not mean that a tenant cannot use Mbook just for his own work. Click on our “Sign up for a free trial” link. Fill in the required fields to sign up in less than 30 seconds (no credit card required) and click on the “create my account” button. The screen will display the message “thanks for signing up” and it will ask you to check your inbox. Open the confirmation email and follow the link provided to activate your account. 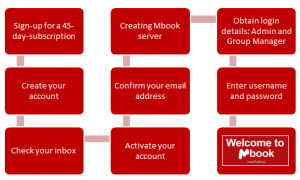 Your Mbook server will be automatically created for you and a second email should be sent to the registered email address. Once you open this second email, you should get two different login details. One as an Administrator and another account as a Group Manager.The Administrator will be able to create groups and group managers but will not be entitled to create projects or reactions. The Group Manager will be able to create groups and users, and also projects with reactions and experiments. We recommend that you login as an Administrator during your evaluation. You are almost ready! Enter your username and password and follow the link displayed below. 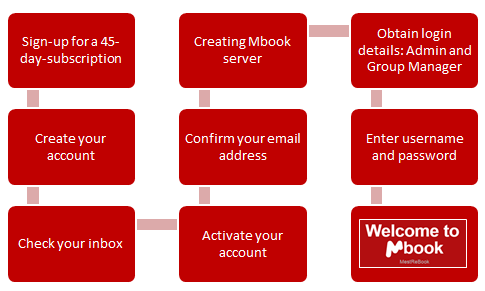 Then paste your credentials on Mbook´s login page and start enjoying Mbook for this 45-day trial period. 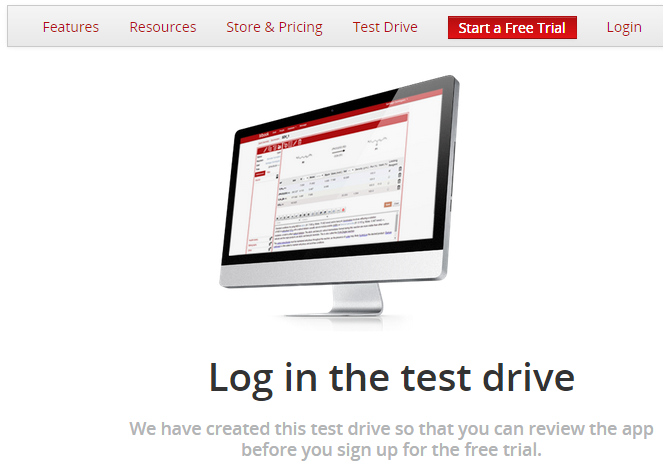 Alternatively you can use an instant 1-day-trial license to check how the app works by logging into our Mbook test drive. (Please note that this version is only meant to show you how the app works, therefore all records stored in this server will be deleted daily). Click on the “Log me in” button and your log in details will be displayed. Please note that this process might take up to 2 minutes, do not reload or exit this window. You can now copy your temporary username and password and follow the link displayed above. 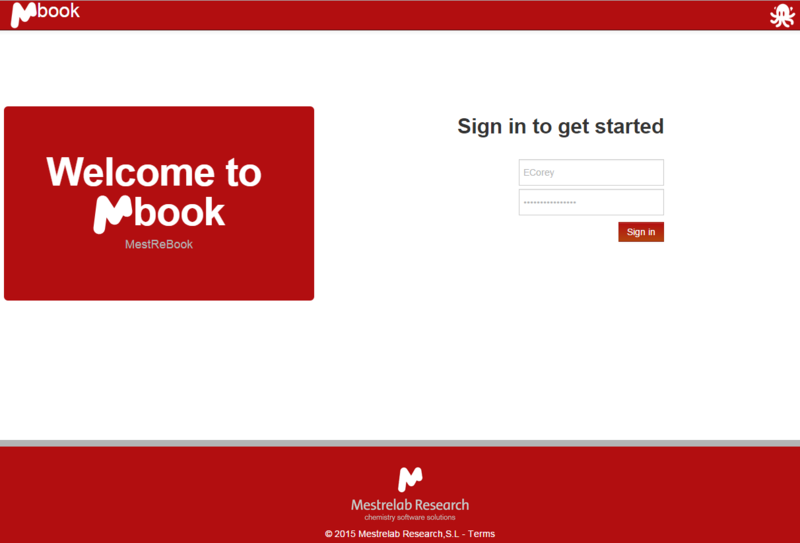 Then you just need to paste your credentials onto Mbook’s login page and start enjoying Mbook!